Women who are pregnant or breast-feeding may want to start taking an iodine supplement. Many American women are deficient in iodine, an element that is essential for babies' brain development, according to an American Academy of Pediatrics statement published Monday in Pediatrics. The iodine problem had been solved in the past by adding iodine to table salt. 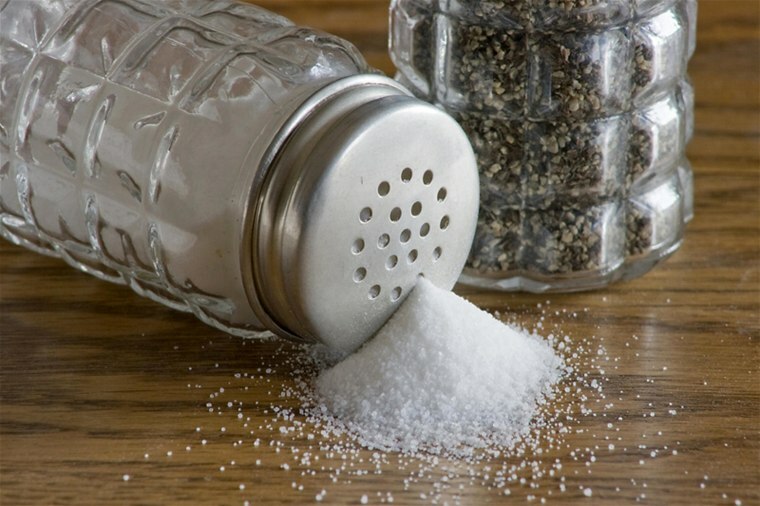 But these days most salt consumed by Americans comes from processed foods and that salt is not iodized, said Dr. Jerome Paulson, a pediatrician at Children's National Health System and chairman of the AAP's council on environmental health. Paulson doesn't want to scare moms unduly. Iodine levels aren't so low that babies will have severe brain damage, he said. "The brain development issues are very subtle and are not likely to be noticed in an individual child," Paulson explained. "It's an issue for society as a whole when you have a large number of children who are not reaching their full potential." In other words, kids will appear perfectly normal, they just won't be all they could have been. Women don't need to have their iodine levels tested, Paulson said. Even if iodine levels are optimal, a supplement won't hurt. "Women should make sure they are taking a supplement when they are thinking about becoming pregnant or are pregnant," Paulson said. "Taking a supplement with potassium iodide in it will maximize the child's potential long term." Currently, only 15 to 20 percent of pregnant and nursing women are taking supplements containing iodine, Paulson and his colleagues noted. They recommend women augment the iodine they get in foods with a supplement containing 150 micrograms of the element. Dr. Luigi Garibaldi said he hoped the new statement wouldn't alarm women, especially since no one knows exactly what the effects of a slight iodine deficiency are. Nevertheless, it makes sense for women to supplement their iodine to be on the safe side, said Garibaldi, clinical director for pediatric endocrinology at the Children's Hospital of Pittsburgh of the University of Pittsburgh Medical Center. "I think the main thing is that the FDA [Food and Drug Administration] should make sure that prenatal vitamins contain all the essential nutrients," Garibaldi said. "It's very important that vitamins such as Vitamin D which is useful in calcifying bones, and elements such as iodine be part of prenatal vitamins." Because the FDA doesn't regulate dietary supplements, there are no rules specifying what goes into a prenatal vitamin.